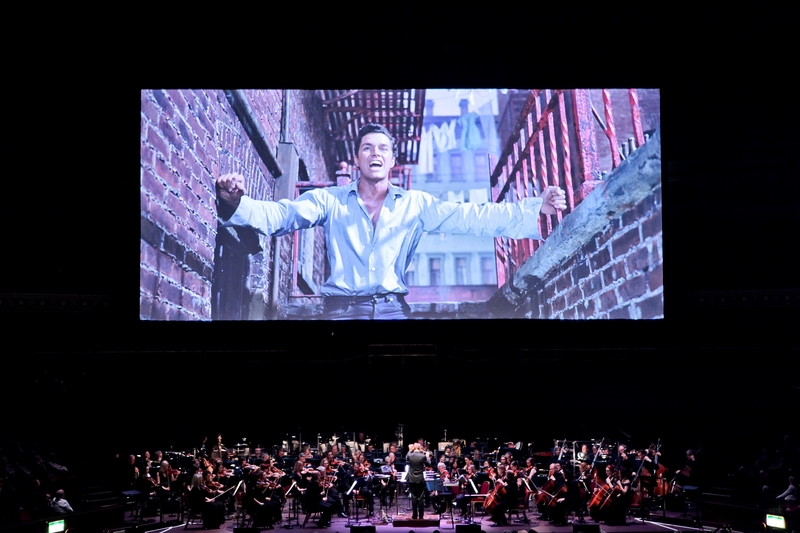 Fifty years after its release, the MGM musical tragedy West Side Story has been digitally re-mastered on Blu-Ray and returned to… err… the Royal Albert Hall. It’s not the sort of cavernous gulf you’d naturally think of visiting for a cosy cinematic experience of romantic Romeo and Juliet themes transferred to the edgy ghettos of New York – even in high definition. But if you add in a live 90-piece orchestra and erect a screen the size of a tennis court, you’re actually onto something special.